The world is moving from one crisis to another. Many governments have generated the excess level of debt, and excessive budget deficits. They have subverted the principles of the market economy when they decided to rescue private banks in bankruptcy. They have accumulated debts instead of creating value for the public. Banks entered into bankruptcy, because of the greed of their leaders and incompetence in managing and controlling financial risks, but taxpayers should not be called to save these private disasters, particularly when many of those bankruptcies are a result of lack of values and business ethics. The position of regulators and governments on the urgency to change the governance of corporations and banks reminds the popular phrase "after the horse has bolted locks the door". And after all, it seems nobody is accountable for the tragedy and the taxpayers’ are the ones that pay the bill as they are unable to protect themselves. There are plenty of signals that the crisis persists because nobody is attacking the roots of the problem, which is, in my modest opinion, a crisis of values and leadership. Leadership crises occur from time to time, either in companies, not for profit organizations or governments. 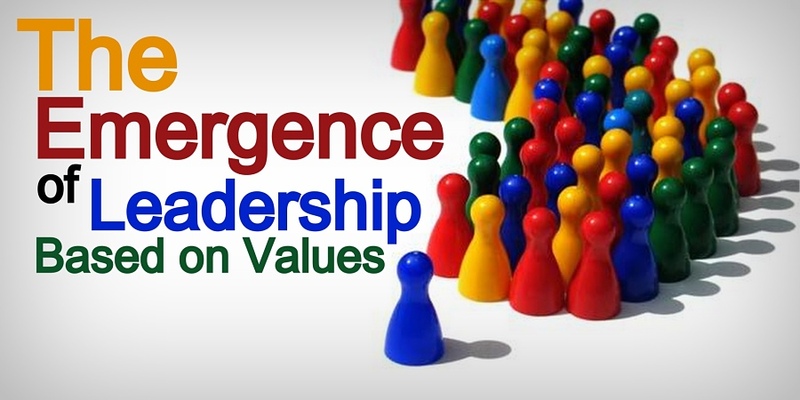 When they occur simultaneously in a large number of organizations, it is an indication that a radical change is needed, requiring a new kind of leadership. The crisis of values generate the destruction of the economic system and asks for a new approach to leadership. The history of humankind is full of these situations that generated the fall of empires. For example the Greek, the Egypt, the Roman Empires and more recently the USSR (Union of Soviet Socialist Republics). We know that change is the unique thing that is constant in our lives. We are living in a time that is requiring radical changes. So radical that is something we didn’t live in the past. As Albert Einstein said "You can’t solve a problem at the same level where it was created. It is necessary to go to a higher level". That is, we can’t solve a problem, trying the same solution over and over again. I think "resilience" is an essential characteristic of our times, as well as adaptability and tolerance to stress, factors that are inherent elements of emotional intelligence. Changes will not occur until each person change their minds, in order to see things differently. One can’t imagine the world changing so radically and people keeping the same mental models they have used in the past. We must learn to see reality with different lenses that are out-of-the-box. But the old fashion models that are installed in people’s minds are very deep. Much more deep than many of us can imagine. It is not about the outside world only, and how to react to it to survive. It is not about our behavior considering the facts in front of us, and the judgments on what to do, or not to do. The issues are not resolved with more expertise and better skills because the situations we face every day are completely new and unexpected. The required neurological levels that we need to access and change are our norms, attitudes, beliefs and values. Our beliefs and values will need to be shaken which may, in some cases, put our identity in question. We will have to ask ourselves about our mission in this world facing such drastic and sudden changes. Those who are able to face the issues the way they are, without prejudgments and with flexibility to deal with the necessary changes in beliefs and attitudes, may emerge stronger from this process. Those that are stuck in old patterns of thinking and acting, will succumb. • And 20% say they have too much stress to enjoy life in all its aspects. Or the mental models of business people changes, especially leaders, or in the long term we continue to see the decay of political, social and economic system and the collapse of many people unable to live in such environment. It seems clear that we are living a time of change with many financial deficits, but also deficits in human rights. Nothing is guaranteed nowadays. What was a right yesterday may cease tomorrow, for some supervene reason? What had no retroactivity, now has. With the ongoing changes for segments of the population, some people loses the quality of life, others will even fall to the minimum level of subsistence or even below. The spread of wealth increases. Richer are getting richer, and the poor, getting poorer. What can and should be done? I don’t think international programs such as those of United Nations, World Bank, IMF and others will bring substantial sustainable living standards. We have seen the results of such efforts in the past. The hope is that transformational and spiritual leaders can act quickly at a local level, national level and at the global scale. Business schools have an important role to play in the development of those entrepreneurs and leaders. There is no use to continue to develop technocrats with a lack of awareness of the problems and the proper role of them as leaders for this new world.Technocracy and expertise are not enough to tackle the financial, economic and social problems. What we need is transformational and transpersonal leadership. © 2016 Neves JCD, This is an open-access article distributed under the terms of the Creative Commons Attribution License issued by the author and original publisher.